The Elmhurst Real Estate Market had another solid month in March. 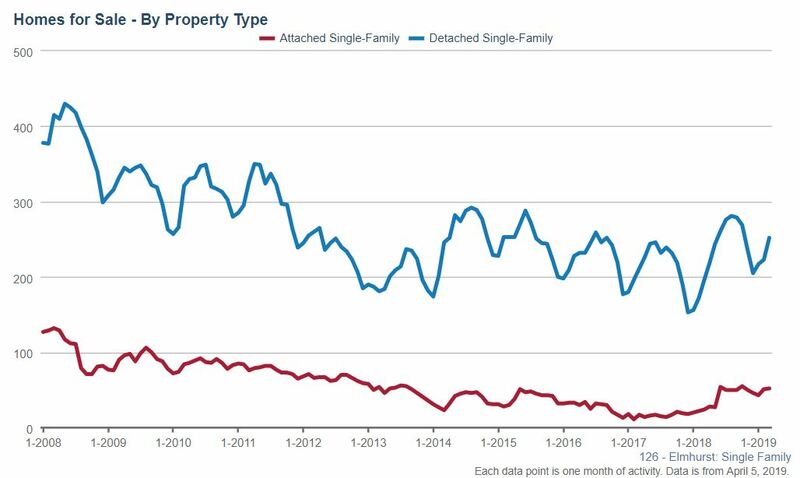 Inventory increased 30% for single family homes and 60% for condos and townhomes. 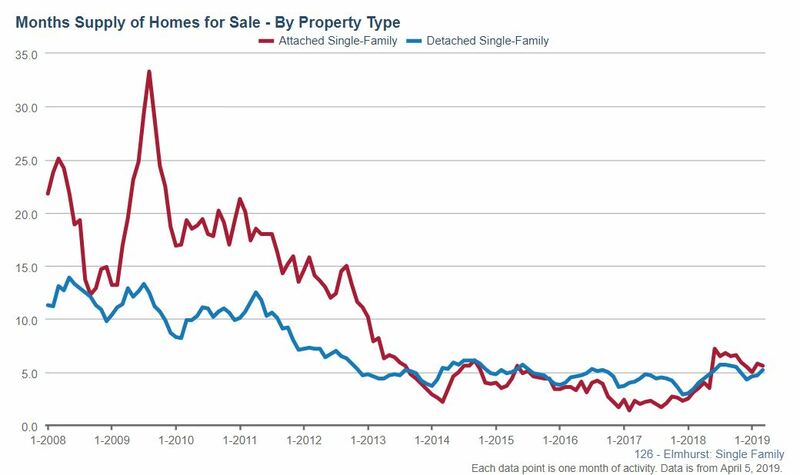 Single family home sales increased almost 20% while condo/townhome sales increased 200%. Single family home market times increased in March. Homes were on the market for an average of 137 days compared to 119 days last year at the same time, a 15.1% increase. The average time a condo/townhome stayed on the market was 142 days compared to last year when it was 170 days, a decrease of 16.5%. 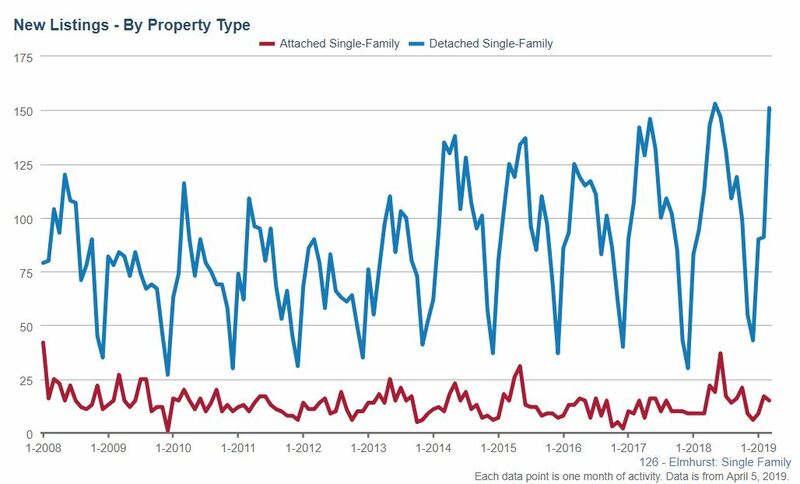 Single family home inventories in Elmhurst had a 5.2 month supply at the end of March a 30% increase compared to last year at this time when the months supply was 4 months. The supply of condos and townhomes increased substantially, 60% in March with 5.6 months supply this year compared to last year when the months supply was only 3.5. At the end of March there were 252 single family homes for sale in Elmhurst, an increase of 28.6% from last year when there were 196 homes for sale. The number of condos and townhomes for sale increased more than 116% in March with 52 for sale this year compared to last year when there were 24 for sale. 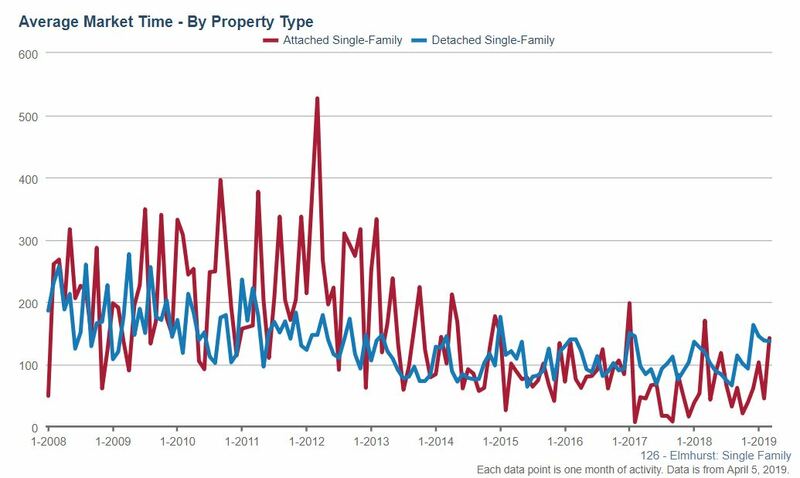 March single family home new listings increased with 151 new listings compared to 113 last year at the same time, a 33.6% increase. Condo and townhome new listings increased more than 66% with 15 new listings this year compared to the same time last year when there were 9 new listings. 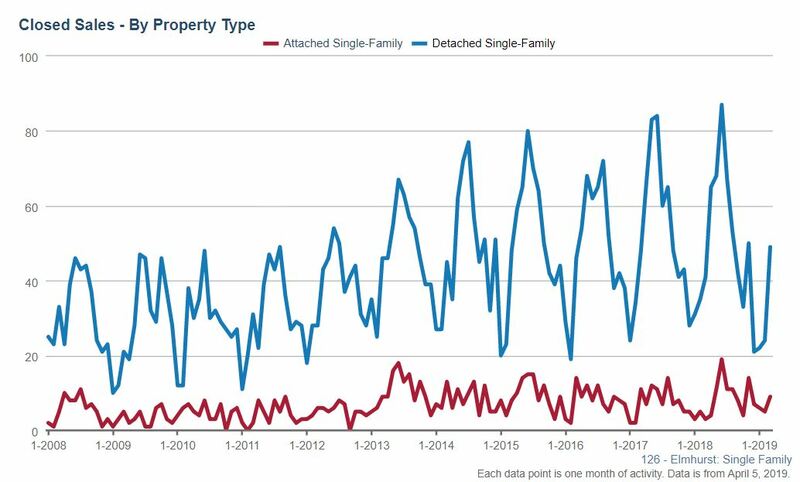 The number of single family home closed sales increased with 49 closings this March compared to 41 last year, a 19.5% increase. Condo and townhome closings increased with 9 closings this March compared to 3 last year, a huge 200% increase. The post Elmhurst Real Estate Market Conditions – March 2019 appeared first on Getting Real.